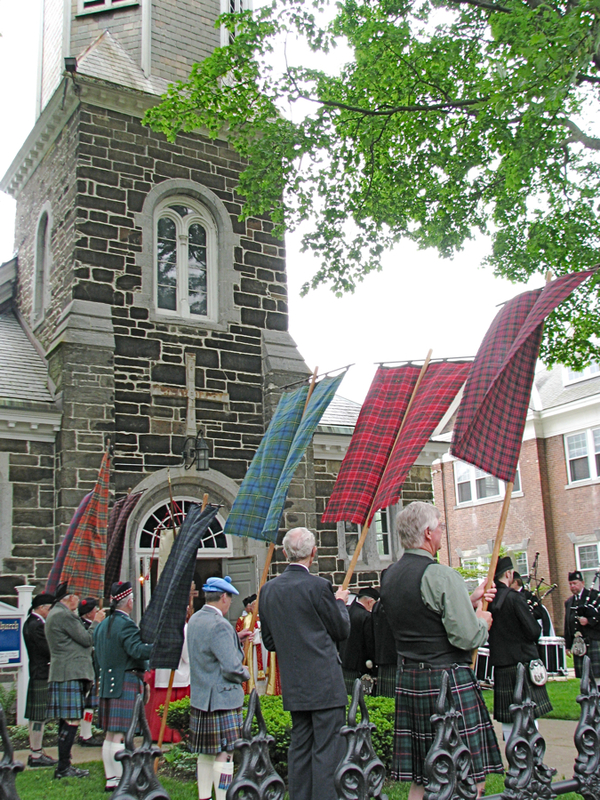 St. George‘s celebrated the Feast Day of its namesake patron saint, George the Martyr, yesterday (April 23) with a Patronal Festival that included a traditional Kirkin’ o’ the Tartans ceremony. 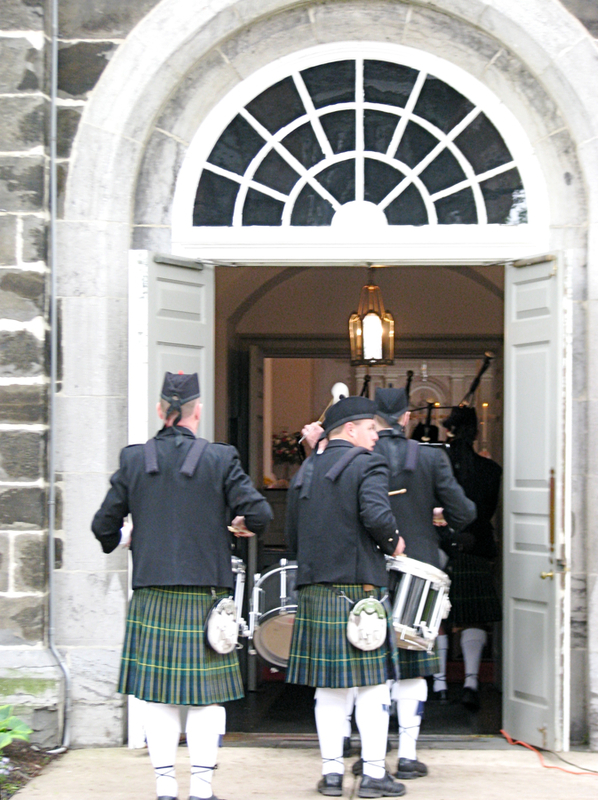 “Kirk” is a Scottish word meaning church as a noun and “bring to church” as a verb. According to The Capitol Scot [Washington, D.C.] website, in an essay called Kirkin’ o’ the Tartans Ceremony, “Clan representatives carry lengths (or flags) of tartans forward to the altar rail and the Chaplain says a few words about the Scottish heritage and gives a blessing.” According to the Scottish Tartan Museum, having annual Kirkin’ ceremonies is apparently a wholly American-Scottish tradition that started in New York City in the early 1940s. 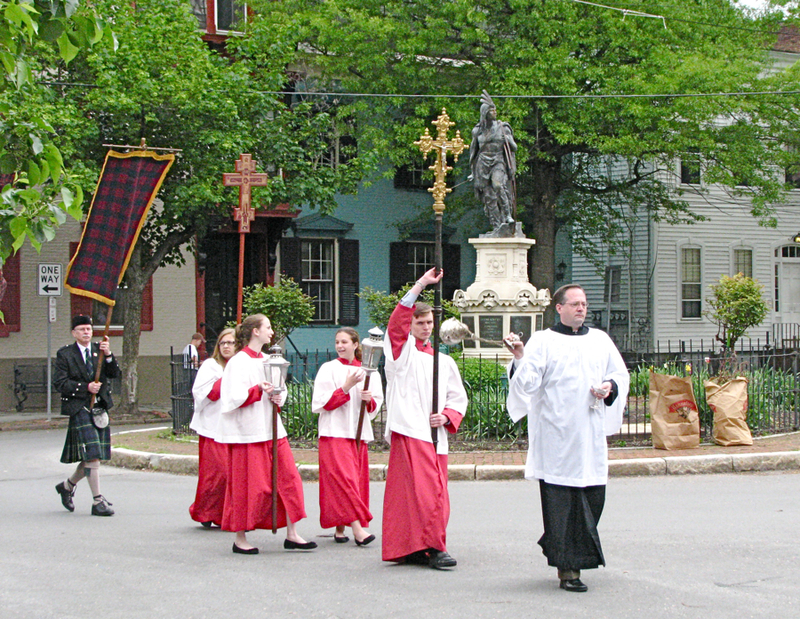 But the rite harkens back to the days of the Act of Proscription, when wearing a kilt was banned, and Highlanders would hide pieces of tartan and bring them to church for a secret blessing. 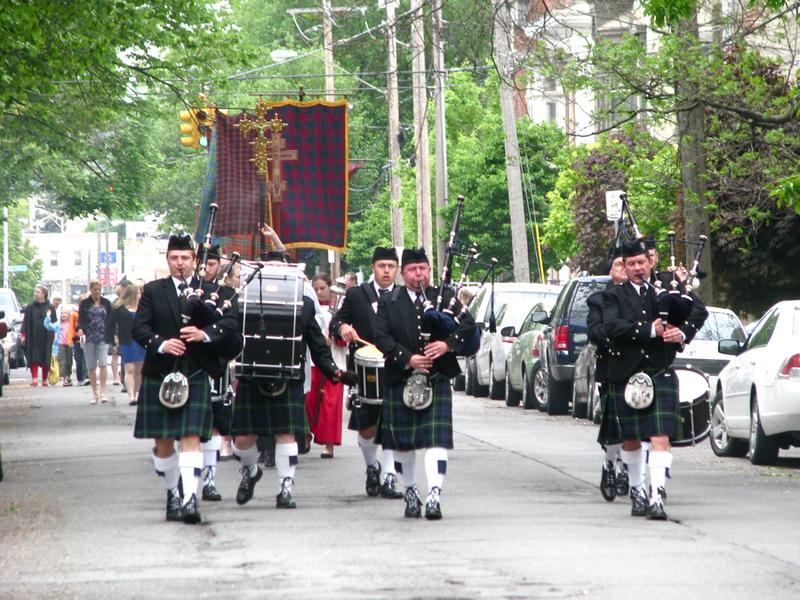 When the procession started, I was at the wrong end of N. Ferry St., at the Indian, so quite a few of my initial photos feature the backs and backsides of the marchers. Eventually, I got a bit closer and got some faces. 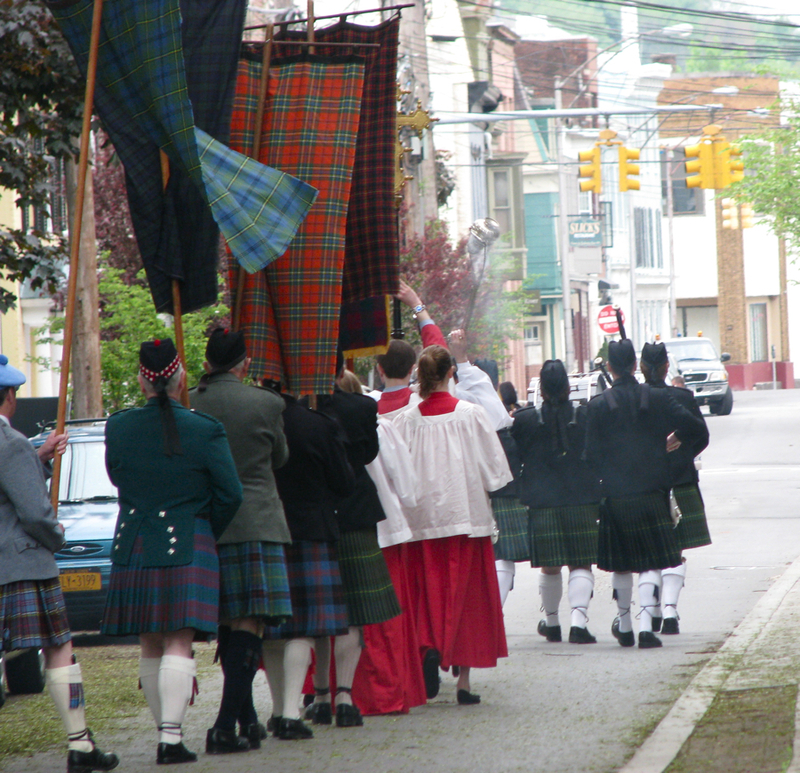 I hope you enjoy the slideshow of a Stockade and Scottish tradition that added some color to a gray-cloud morning.